Yesterday I had my first cold weather run of the year! 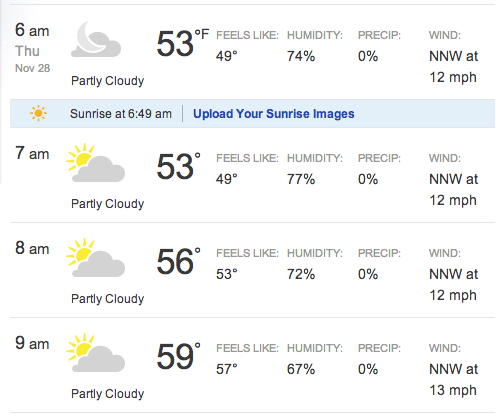 I am not used to temperatures like this … I like it! 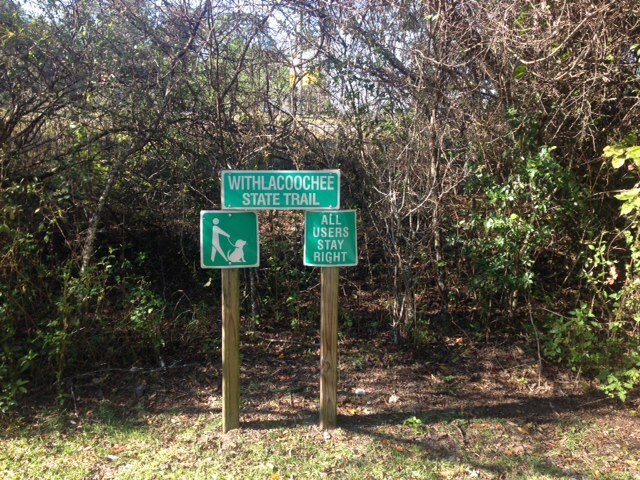 I went on the Withlacoochee State Trail which is a really peaceful place to run. It was even more peaceful than usual today because I was just about the only person out. 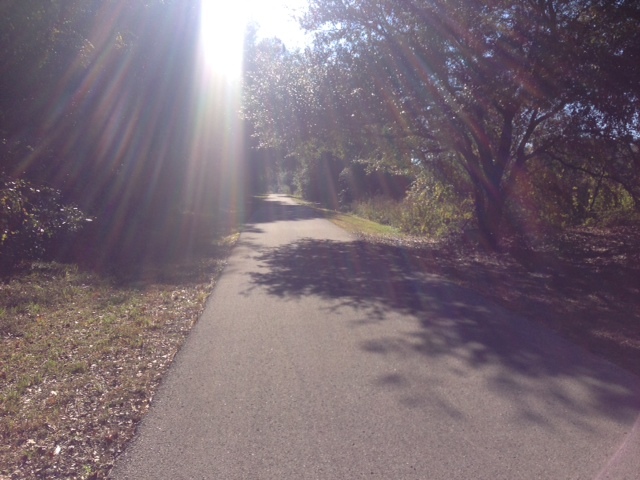 The last time I went running on this trail was right after my step-father passed away this past April. I am happy that today I was running the trail under happier circumstances. After my run Adam, my mom and I hung out and watched football and … ate pie! Not the traditional pumpkin pie because I’m not a big fan. 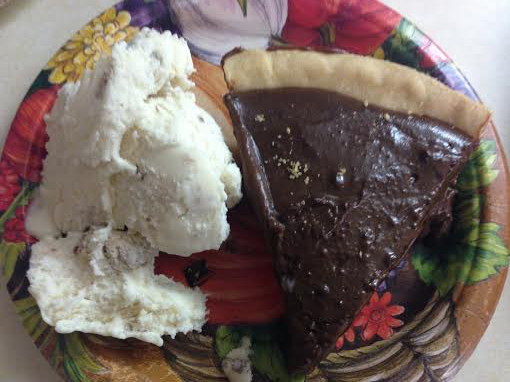 Chocolate pudding pie w/peanut butter frozen yogurt = yum. Very tasty and it doesn’t make you feel like you have a huge food baby because it’s really light feeling (it’s just pudding)! Today we’re going to go see my grandpa who is in rehab. He’s 90 years old and was recently in the hospital. He’s doing okay now but he’s in rehab to regain his strength. After that, who knows?! Hope you had an awesome Thanksgiving with your family/friends! 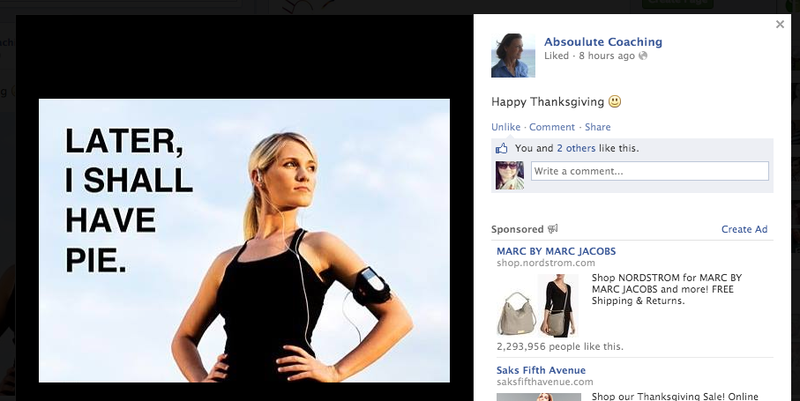 Is there anything you want to buy on Black Friday/Cyber Monday? Previous Post Feet Fail Me Not, This May be the Only Opportunity That I Got! Next Post A Runner I Want You to Meet! What a gorgeous trail. It’s weird how just like 3 hours north of you, it was in the low 40s. Florida weather is crazy. I’m glad you had a good holiday! Florida weather is so crazy. I really wish the cooler weather would have stuck around longer!